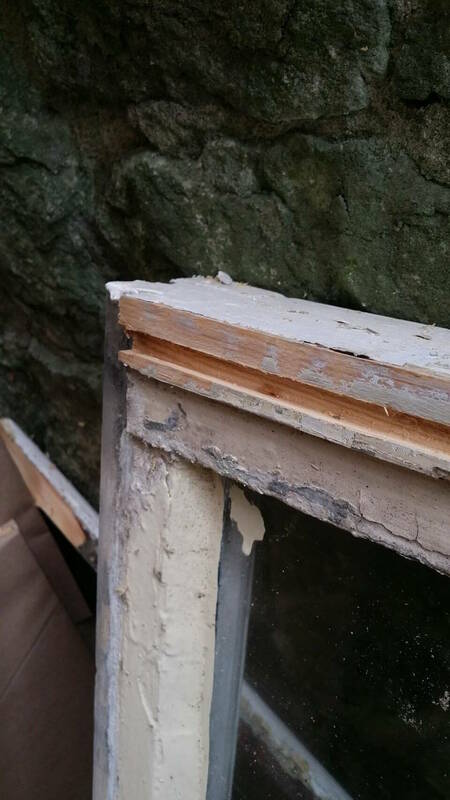 East Dulwich and Herne Hill : Sash window repair, overhaul, and sash window draught proofing case study. Home » East Dulwich • Herne Hill » East Dulwich and Herne Hill : Sash window repair, overhaul, and sash window draught proofing case study. If you are located in East Dulwich or Herne Hill and you’re looking for sash window repair and sash window draught proofing then this example is ideally placed locally to you. The windows at this property in East Dulwich were draughty, rattled, let in the cold, and would not stay open. The weighting mechanism was out and cords broken as well. 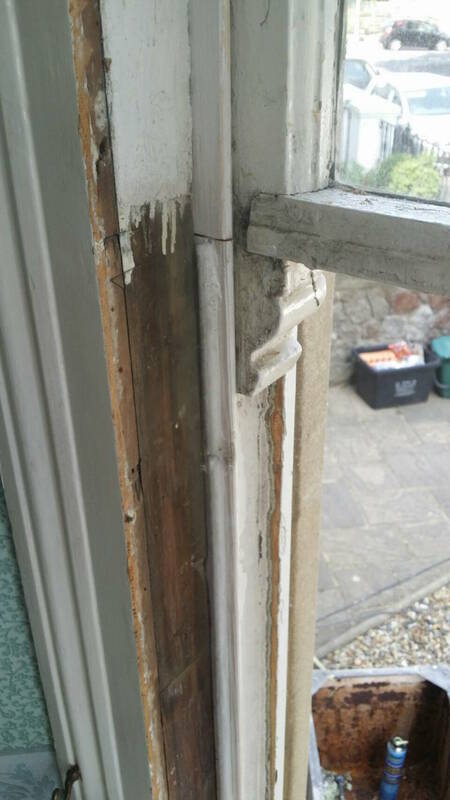 They needed quality sash window repair and a good overhaul with a draught proofing system. 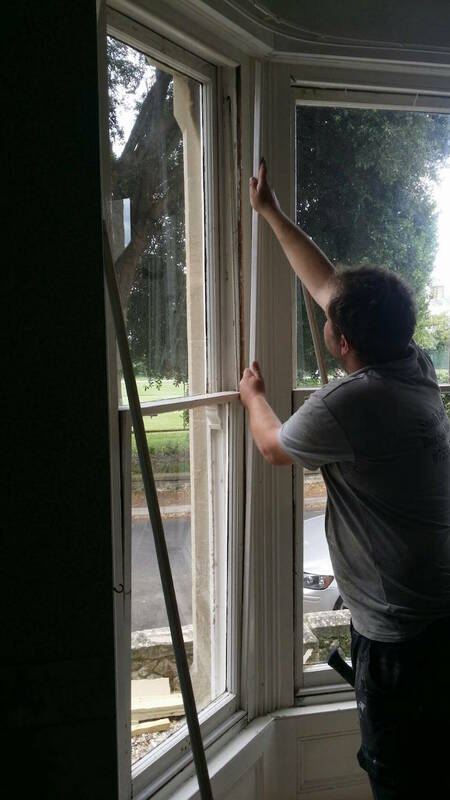 It’s an appropriate time to mention that this article has little to offer for clients that would like to install double glazing to original sash windows or install new double glazed sashes to the existing frame. If you would like to learn more about double glazing original sash windows, or sash window sound proofing, then please follow the page highlighted. 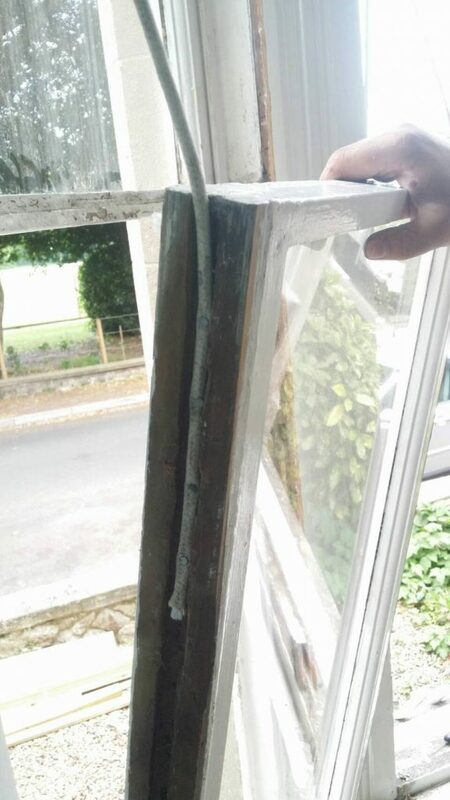 The first job when repairing and overhauling any sash window is to remove the sash from the frame. This gives clear access to the box and weight cavity. The job cannot be done properly without entirely removing sashes. 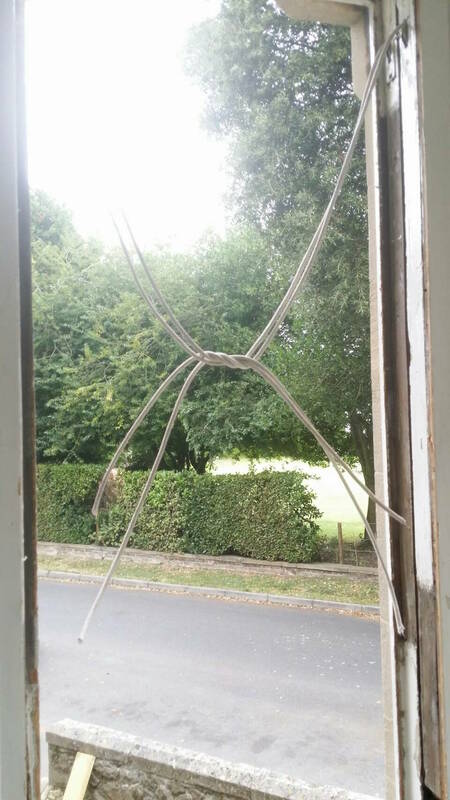 If you are looking for a quick fix solution then this article is probably not going to help you, on the other hand if you are looking to do a lasting job on your sash windows then please read on. Once sashes are removed you will have clear access to the weight cavity. This begins the process of checking weight of sash against counterbalance recovered from the sash inner frame. Here’s a look at original sash weights. Notice they are quite rusty and it’s quite an interesting fact that a normal sash weight will lose 1lb in weight to rust every hundred years. There is some variables on this, most notably how much moisture is in the air. The weights pictured present an interesting scenario. Notice the weights on the left hand side are slightly more rusty than middle or right hand side? This is quite simple. The weather drives from the left hand side and more moisture made it’s way into the left hand side of the frame! 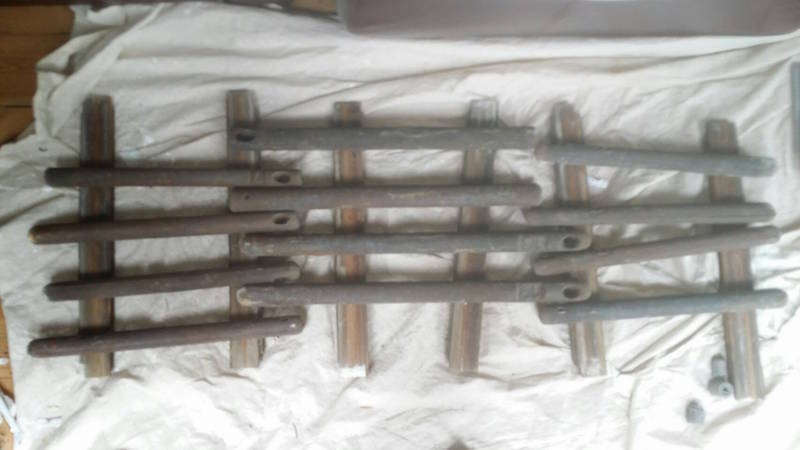 If the weights are well balanced we will begin the process of installing the new sash cords directly to the original frame. If the situation, which is quite common, that the weights are under the required counterbalance we need to add make weights to being all into alignment. The process is extremely straight forward, it’s like your old fashioned kitchen weighing scales. Simply ensure weight is equal and all works perfectly. The cords are then pinned in place and await sash to be machined for draught proofing and meeting rails correctly lined up. As part of our draught proofing system that is completely hidden, we rebate draught seals into the top of the top sash, meeting rail, and bottom of the bottom sash. This Nylon brush pile is designed to fill gaps and stop icy draughts passing through the frame. The brush pile is glued into place to last well. If any putty has perished or the mortice and tenons need tightening up then this is the right time to do so – we will re-wedge and glue.To learn more about our draught proofing service please visit the page noted. It’s quite common for sash rails to come loose. When water penetrates the joints open up because the resin perishes. We will ensure that the sashes are put back together in excellent condition. East Dulwich and Herne Hill – what about decorating and painting my sash windows? You can also see the paint work is in poor condition close up. The previous painter managed to send paint all over the glass and the paint is flaking off in large chunks – the large chunks is a dead giveaway that the surface was not prepared properly before paint applied. This just means more making good to bring the sash up to a nice finish but certainly there is nothing structurally wrong here, just good old fashioned prep work, and plenty of it. Any timber exposed by the machining process is now primed and undercoated to ensure water will not penetrate. At this point, we would begin the process of preparation for painting and decorating, if you had selected this option when we came around for a free no obligation estimate. In this example the client simply wished to have her windows overhauled and draught proofed and would carry out decoration and painting themselves at a later date. It’s quite understandable, decoration can be done by anyone and is just a case of hard work and patience. I’ve written a complete “how to decorate my sliding sash windows” guide in support of this. East Dulwich and Herne Hill – sash windows refitted and furniture installed. With sashes draught seal installed and cords ready, we begin the process of hanging top sash, installing parting bead, then fitting back lower sash. This leaves the staff bead to re-fit. We check the sashes travel smoothly and will also install lubrication to the frames in order to ensure sashes move really well. The parting bead has carrier and brush pile inserted to stop any draughts entering through side of the frames. This is also installed into staff bead in order to ensure the system is as close to 100% as possible. There’s an additional benefit, Brush pile reduces drag so windows operate better than when they were first made! If you’d like to discuss your sash windows and you’re located in East Dulwich or Herne Hill then we would be happy to offer you a free no obligation survey on the repair and draught proofing of your sash windows.